Survivor Diet Challenge: Day 8 DP - Pass da butta! One week is in the books. 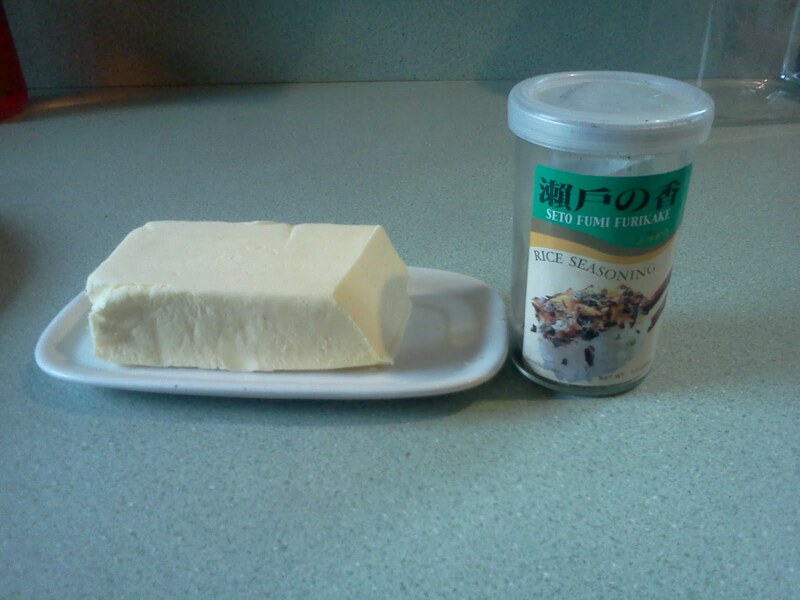 After surviving one week I am rewarding myself with a pound of butter and a small jar of rice seasoning. And oh how nice it is to have some butter! I still don't have any salt - more out of laziness than anything at this point. I will get some soon from the sea. To be able to cook with some butter and some seasoning is making such a big difference - especially with trout. I have been recalling memories from my childhood - going camping with my dad, catching trout and cooking them in a cast iron pan over the campfire - drenched in butter! Trout taste pretty good on their own but throw a little butter in the pan and it takes it to a whole new level. I went to the market to buy my pound of butter with the idea in my head that I didn't want any average kind of butter. I wanted something more special than that. I was looking for something unique but I didn't really find it. I did settle on a brand that was advertised as European style butter produced from the finest organic ingredients. I bought half a pound and when it's gone I'll get the other half and continue looking for something unique. The taste of what I purchased is quite good and will do just fine. Today is Monday so I'm back at work and I had to prepare my breakfast and lunch in the morning. Trout and more trout. I prepared it on a pan made for my toaster oven. Mixed with a little rice and beans and some seasoning and, oh yeah, lots of butter. Well, maybe not lots. After all, I only have a pound and I have to make it last for a long time. Then I put it in the toaster oven and set it to broil. This is a great method to cook trout. It crisped up the skin and did a fine job cooking a couple fish in a short period of time. By broiling, it also gave the rice and beans a nice crispy caramelization which added to their flavor. At work I had to sit through a pizza lunch with the whole staff which was a little social get together - so I couldn't just duck out. The pizza smelled soooo good - and don't get me started on the cheese steaks. I sat there and drank water. 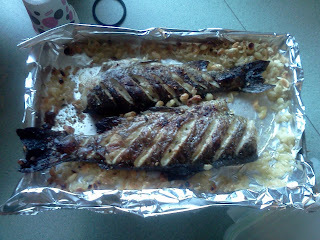 After coming home from work I was ready to broil up some more trout. This time I did a little research on how to "de-bone" a trout by watching a Youtube video. I carefully took the last 3 trout out of the refrigerator and tried the new method that I just learned. It worked quite well and I was able to butterfly these fish so that they cooked quicker, didn't need to be turned over and crisped the entire skin nicely. I cooked one more using this method for my dinner and the remaining two went back into the fridge for tomorrow. Oh - almost forgot - the weight report. After one week I weighed in at 193 after starting at 202 pounds. That's 9 pounds in one week for all of you math geniuses out there. Not bad at all. My goal after 40 days is 175 and afterward I can accept about a 5-10 pound gain. As long as I stick to my guns and my will power stays 'powerful' I should have no problem.